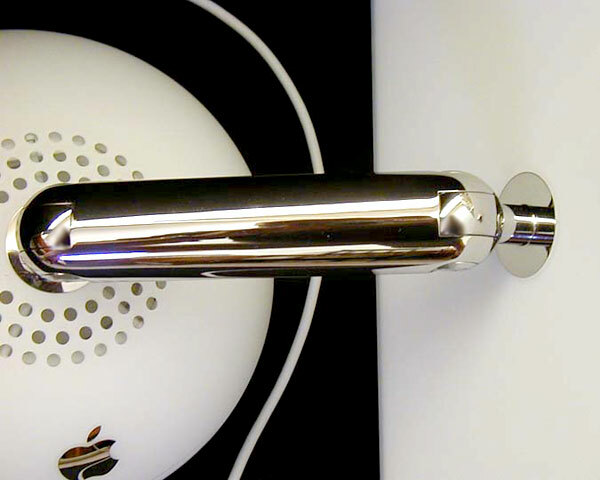 Complete display arm and integral display cabling for the 15" iMac G4 range. This is the chrome shelled, spring balanced tilt & swivel arm which characterises this iconic iMac range. The arm cannot be dismantled and therefore is supplied complete with all the cabling which runs through it connecting the base to the inverter, LCD and mic within the display.